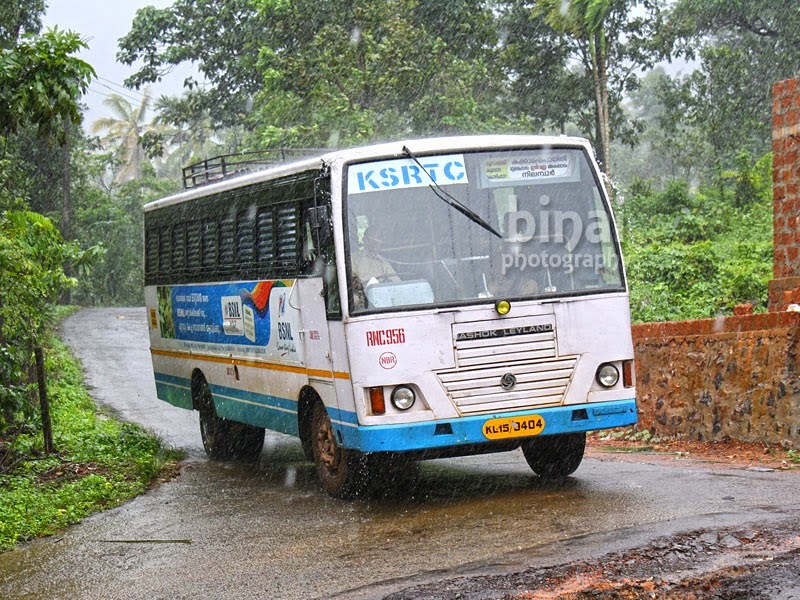 We trundled from the lodge to the KSRTC bus station. Water had puddled everywhere on the roadside - it had rained fairly heavily the previous night. The walk to the bus station took about 10 minutes - all of us were dead hungry as well. No tea shops were seen anywhere on the route. We walked into the KSRTC bus station at Nilambur by around 0630hrs - our bus was still about 15 minutes away. The rest of the gang was already at the bus station - there were 13 more members along. The three of us went berserk clicking buses at the depot - some of the buses had already left the depot, while the others were being woken up by their crew. 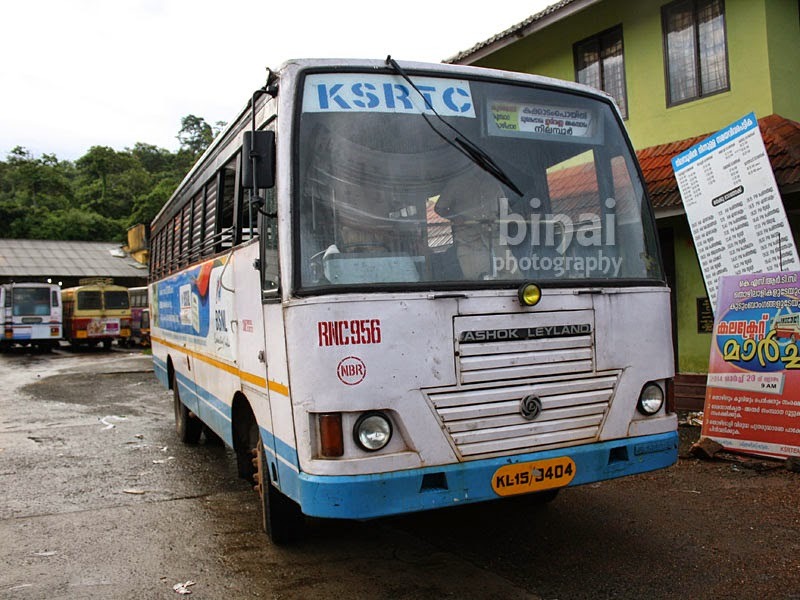 Our bus all set to depart with the I Love My KSRTC sponsored destination board. In the mean time, the I Love My KSRTC team-members were busy stickering a new destination board for our ride. 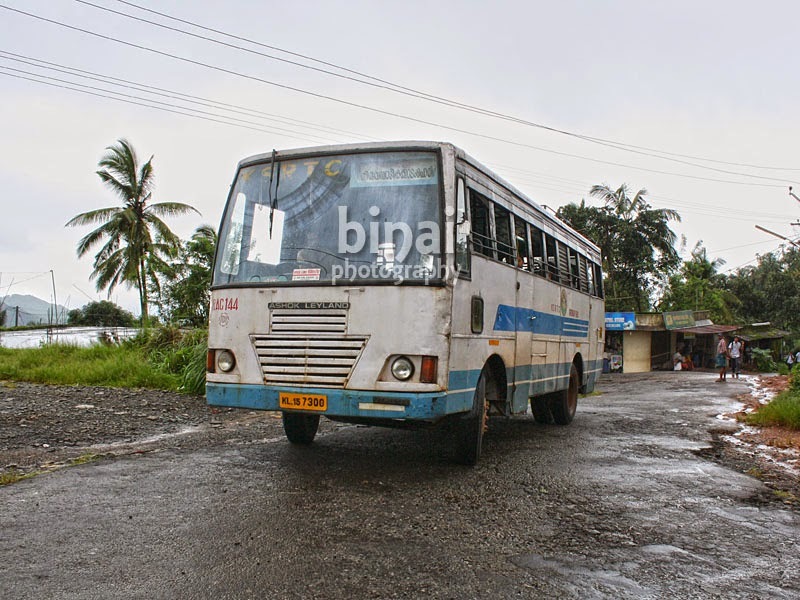 The bus that would take us through the mesmerizing journey was RNC956, an Ashok Leyland Cheetah Short Wheelbase bus. The bus started off from the depot at around 0655 - about 10 minutes late. It was just the 16 of us in the bus now. All the vantage points were grabbed. Even the ladies seats were not spared - the crew had informed us about the general travelling pattern on the route. 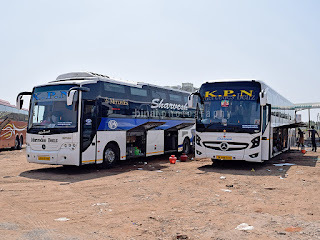 More and more passengers joined as the journey progressed - we passed through Nilambur town and then turned off to the road towards Moolepadam. The road was fairly wide initially - but it got narrower as we ran further. At some places, the road was wide only for a vehicle. I was informed that a few private buses operate on the route - but we did not spot any. The route in the beginning lap..
At one point of time the bus was packed - fully packed. But it lasted only for some time - later, it was us and a few others. 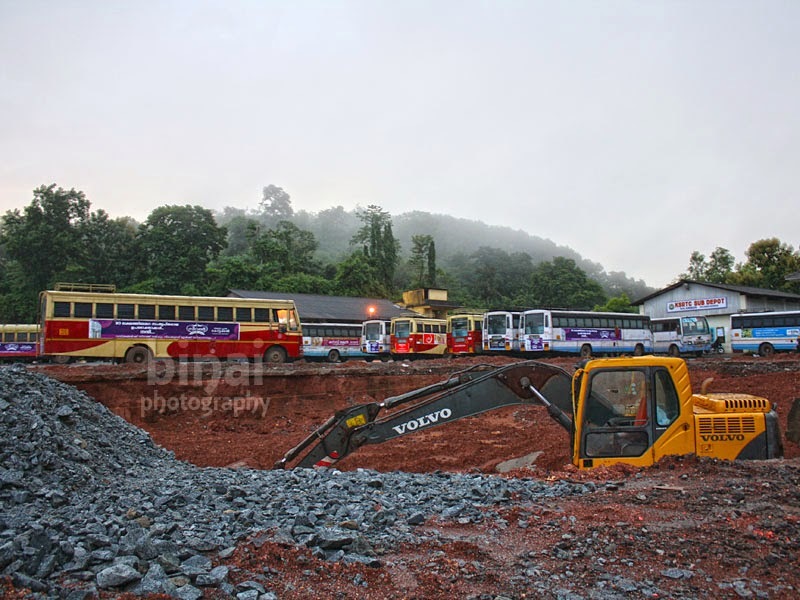 After Moolepadam bridge, the ghats began. The driver, Mr. Najeeb, was a veteran on the route - in fact, it is him at the wheels most of the days! The bus responded greatly - it handled all the climbs with ease. The roads aren't wide - infact, its really narrow at curves and it some stretches. 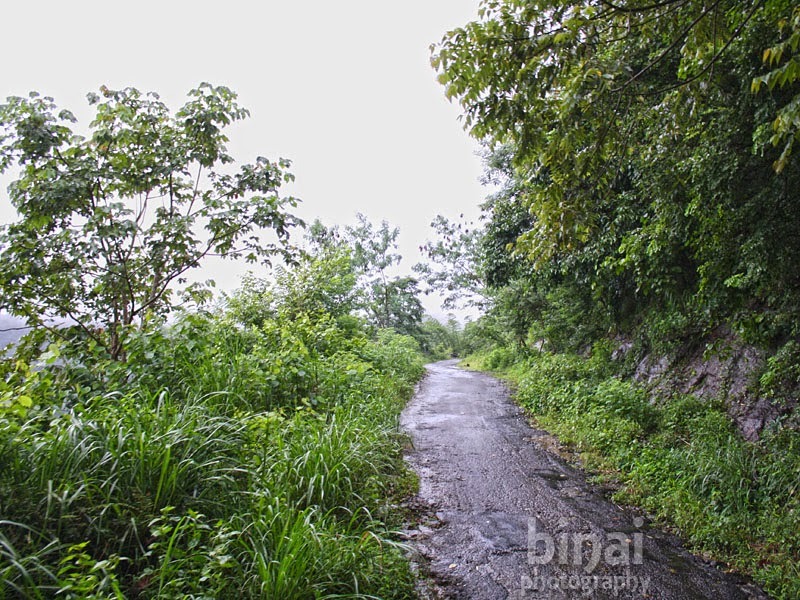 At some places, one will sit awestruck wondering where the road it - all you'd see is a sharp climb - a first timer will surely get scared of what lies after the climb. There were places where the driver literally stopped on the track, shifted to the crawler, and then fired on all the guns. Will you believe a bus runs this way??? Najeeb was at home when he took sharp hair-pin bends with ease - in fact, he was talking about his experiences driving this route, and mentioned about a trial with a regular bus - the bus got stuck at one of the hairpin bends and they had to reverse it a long distance to get it out of the road. While he was busy and engrossed detailing his experiences, he had one hand on the gear lever and one on the steering - and he was busy negotiating the bus through tight curves. 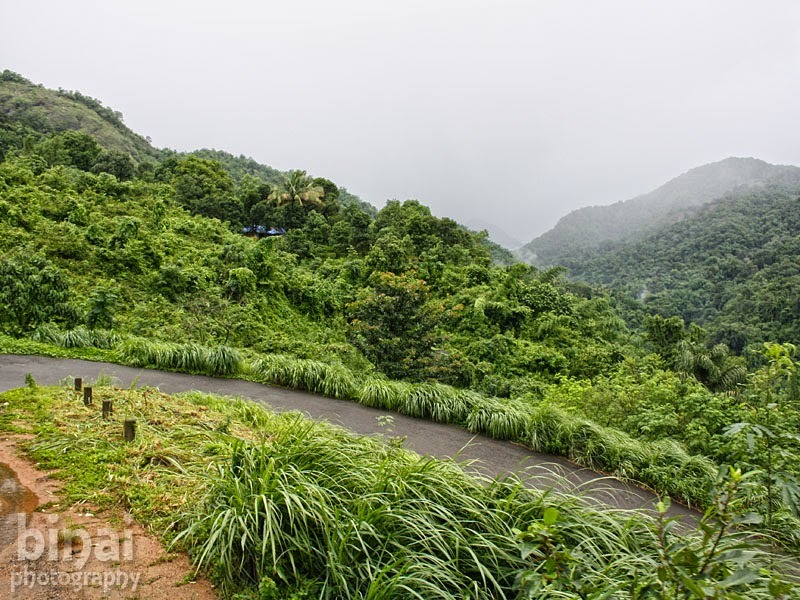 I and Jayadeep were at the front - both of us had goosebumps when we saw him maneuver through the tight hair-pin bends and hardly a lane wide roads. At one of the dead curves, we had a lady requesting for a stop! If that was me, I'd probably have gone without stopping. About to depart after a photo-op! But Najeeb had no reservations - he just stopped the bus a bit before the turn and signalled the lady to come to the bus. Then shifted to crawler, and we had the 160hp engine responding crisp. On the way, our request for a photo stop was honoured - he stopped the bus at a beautiful place and let us go berserk. 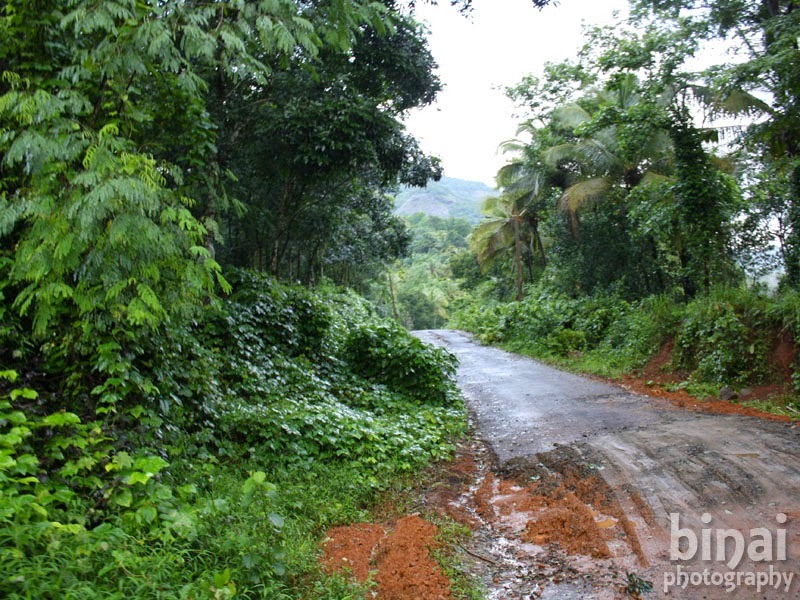 The route was beautiful and scenic all the way from Moolepadam till Kakkadampoyil. We did not realise that we reached Kakkadampoyil until Najeeb told us we had reached our destination - we were dropped there at around 0810hrs - it was raining slightly then. Najeeb waved at us and drove off towards Thiruvambady. The bus goes off after dropping us at Kakkadampoyil..
By now, all of us were dead hungry by now - so the target was to search for our breakfast. Someone in our group had already identified a small restaurant already - so all of us headed there. This was a typical village tea-shop - and the only item on the menu was Kerala's national food - Parotta. This typical Malabari bread made of refined flour is a craze in Kerala now, and there are people who live on it all the time. The accompaniments available was Chickpeas Curry and Fish Curry. The parotta was no doubt one of the best I've had in recent times. We then down a serving of Kozhikode's famous Podi Chaya (Tea made using CTC Tea Dust, in a slightly different method). 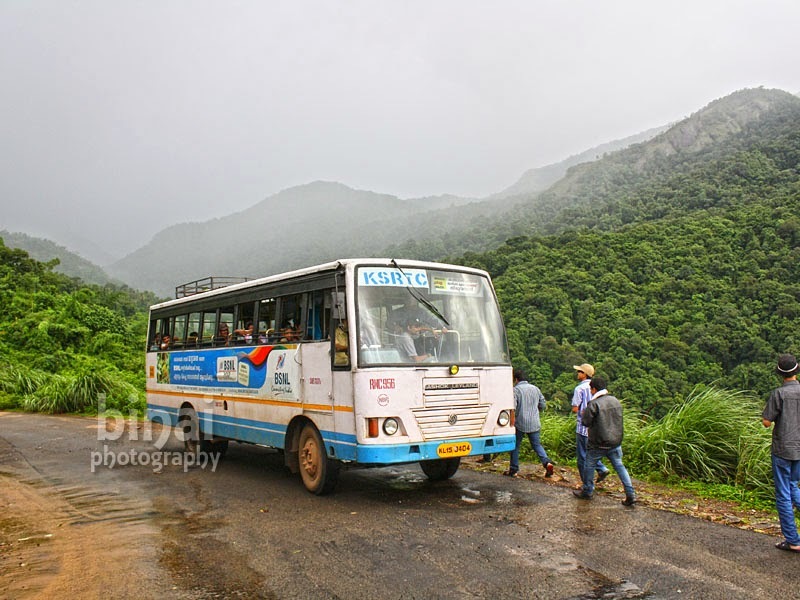 Some members in our team had now set out to negotiate with Jeeps to ferry us to Kozhipara falls - a couple of kilometres away from Kakkadampoyil. I was getting into a 4x4 Jeep after a very long time now - and I got into the front seat (no doubt). The ride takes about 10 minutes - the roads were in great shape all the way. I did expect some off-roading, but nothing of the sort happened. 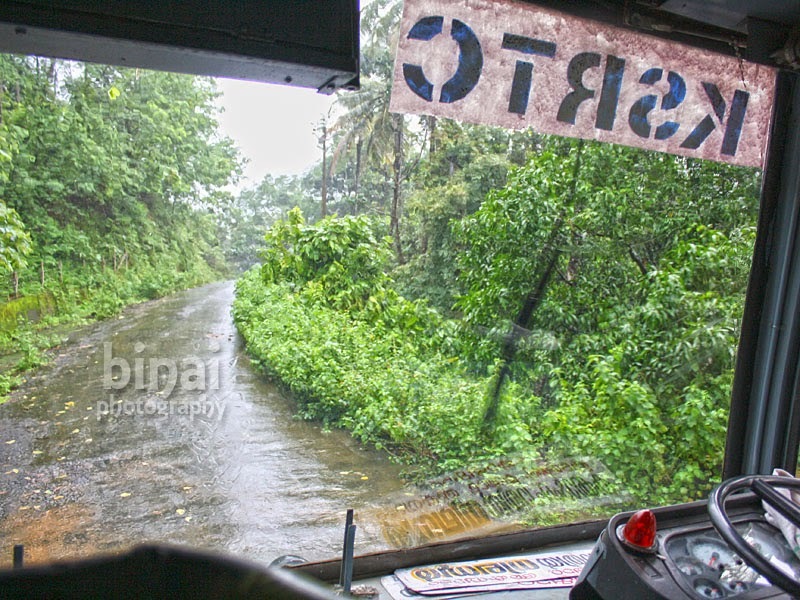 We asked the jeep guys to wait for us to get back from the falls, and drop us at the Kozhipara bus stop (which is about half a kilometre from the falls). 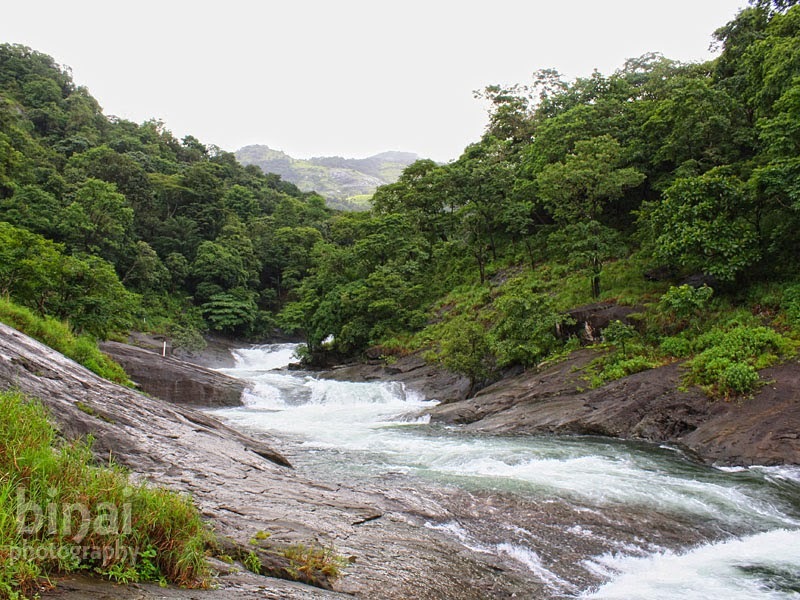 Kozhipara is a beautiful cascade - being in the midst of heavy rains meant the falls were in full flow. We had no chance of going anywhere near the water - and it was not recommended either. After some photography and absorbing the whiff of fresh air, we were back to the jeep. We had about 15 minutes time at Kozhipara - there was a small tea shop at the bus stop, and all of us attacked this shop now. Najeeb came back to Kozhipara with his lovely RNC956 to take us back to Kakkadampoyil from Kozhipara - this time the bus was empty and we spent most of the time talking to the crew. The ride to Kakkadampoyil took about 10 minutes. We got off at Kakkadampoyil and started our wait for the next bus to Thiruvambady. 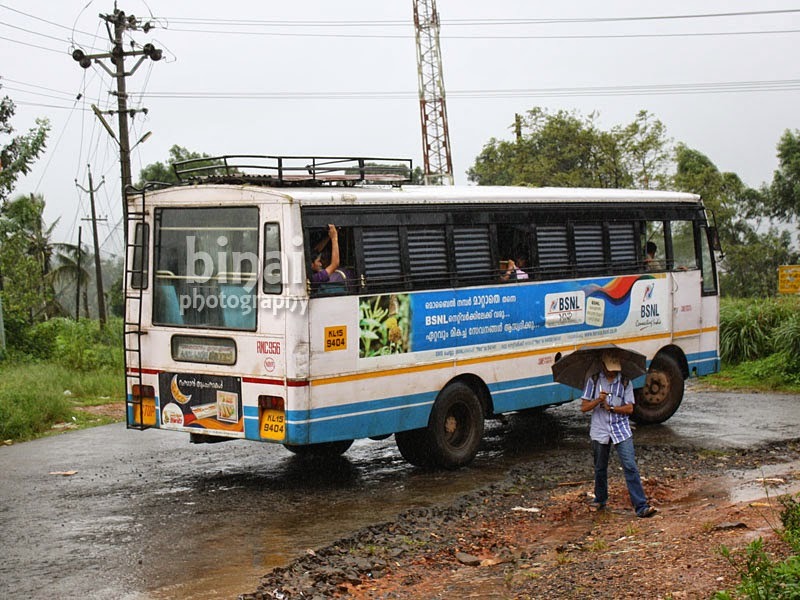 In the meantime, a bus bound to Kozhikode turned up - and the crew suggested that we could get to Thiruvambady by getting off at Mukkam by going in that bus. While we appreciated the crew's attitude to attract passengers, we declined the offer. 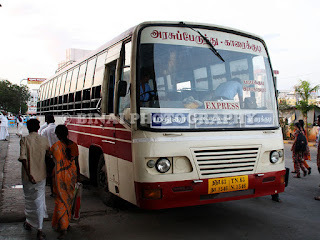 By around 1035, RAC144 of Thiruvambady appeared at Kakkadampoyil - this bus would take us to Thiruvambady. This bus was packed to the core by the time it left Kakkadampoyil. Some of us were fortunate to have got seats - while some from our gang were standing. 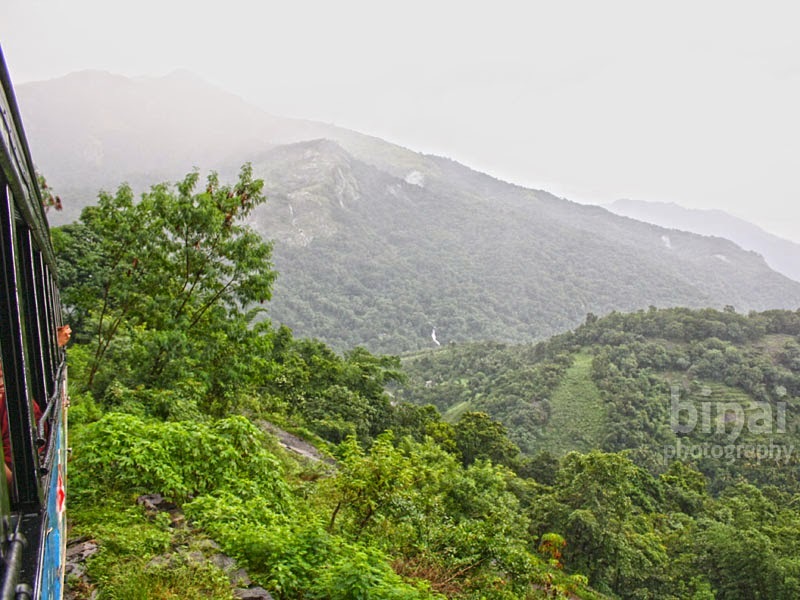 This journey was as scenic as the Nilambur-Kakkadampoyil trip. After some time of descending the ghats, we could smell burnt rubber and smell of the clutch getting fried. At one point there was a lot of smoke emanating from beneath the bus. The ride lasted about an hour, and we were dropped at Thiruvambady by around 1135. 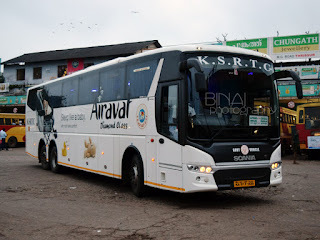 Our connecting bus was waiting for us (literally waiting for us) - this time it was - TP76 - a 2000 model Ashok Leyland. The bus was in great shape - it even had working turn indicators! 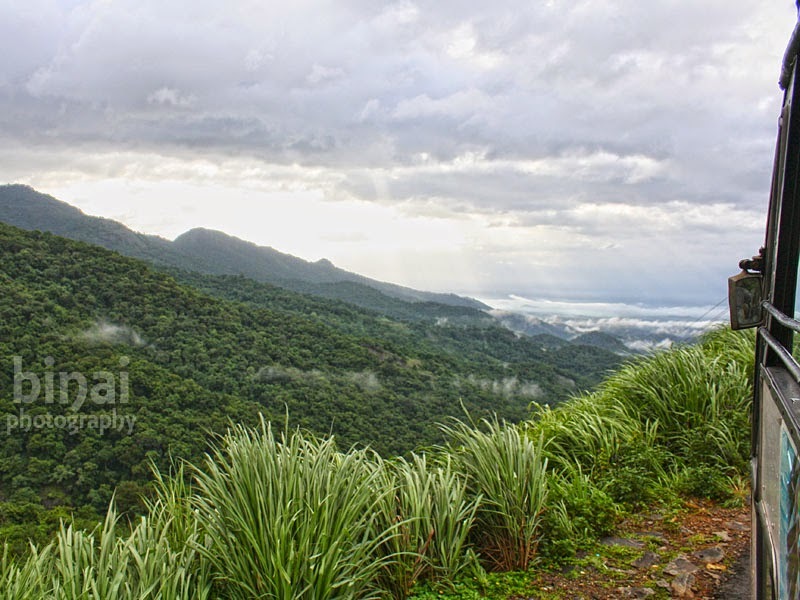 The Thiruvambady-Thamarassery route was a typical rural Kerala route - it had mild gradients, but not a ghat route as such. We reached Thamarassery by around 1215hrs.